The average life cycle of a website is typically three to four years, and a site owner can institute several updates and other changes in that period. Over time, you can find that you need to redirect people to new links for various reasons. Are you arranging the “right” kind of redirect in these situations? The wrong setup can lead to error messages, and it can negatively impact your SEO. We can provide instructions and technical support regarding redirects, so that you can offer a better experience for users, and avoid mistakes that can hurt your technical SEO, and weaken the value of your online marketing efforts. Should I Use A 301 Redirect, Or A 302 Redirect? 301 redirects and 302 redirects can both be useful, but they should be applied under different circumstances. You can use 301 redirects if a link is permanently going to send people to a different link. You can use this to make sure people automatically find you after using an old url, or you can purchase misspelled variations of your url to have people find you without problems. 302 redirects are useful when you are making updates to pages, and need to temporarily send people somewhere else for the information on those pages. 302 redirects ensure that your original page is still recognized as important, so it does not lose SEO due to lack of traffic. If old links are still in place, people can wind up with a 404 Error on their screen. These messages can send them away from your page, which means they are less likely to reach out and book an appointment! When updating your website, or creating a new web page for you to use, we can make sure any redirects are properly established, and avoid problems with empty links that can frustrate visitors. 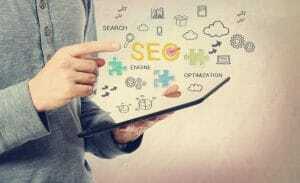 Technical SEO efforts can be important to the long-term success of your online marketing efforts. We can help you make sure your digital presence does not suffer when you create a new website, or when you need to update your current site. In addition to providing website development, and SEO-friendly site content, we can help you navigate tricky technical matters that affect your online experience. MDPM Consulting is proud to provide the kind of technical support that can help you sustain your SEO, and market your dental practice effectively to potential visitors. We can help you establish your online presence, or make the kind of changes that make your digital marketing efforts more fruitful! For more information, please use the information below to contact us! Do you have questions about site redirects, or other technical matters? Contact us today and let us help you! Email MDPM Consulting at [email protected], or call us at 972-781-8861.